Azure Web Apps by default enable so-called sticky sessions when subsequent requests that are made within an established session get processed by the same instance of an app that served the very first request of the session. 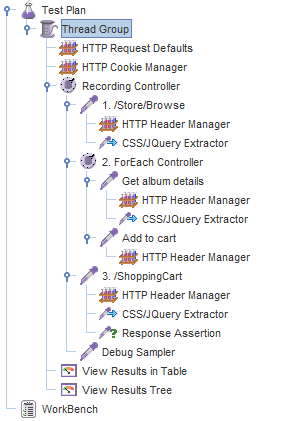 Web Apps rely on the IIS extension called Application Request Routing (ARR) to implement that and the idea is basically to add a cookie with a server instance identifier upon the first response so that subsequent requests include the cookie and thus can indicate to ARR which server instance to route them to. The feature is very useful when a lot of session state is loaded into memory and moving it to a distributed store is too expensive. It's also useful in scenarios when you need to quickly deploy your existing apps to Azure with little to none changes in code and/or configuration. However if you've built your app to be stateless ARR actually limits scalability of your system. Another thing to be aware of are long sessions. Think about a user who's got a tab with your app open for a long time and when he makes another request the instance that used to serve his session has long died. Let's see how ARR works by deploying a sample application to an Azure Web App running with 2 instances. We're going to use a well known MusicStore sample that allows users to buys music. Although it persists shopping carts in the database it uses in-memory session to store shopping cart identifiers. This is exactly the scenario that ARR is supposed to help with when deploying this kind of apps to web farms without making any design or code changes. Now that we have a test app let's create a JMeter script (test plan) that would emulate a user's activity of selecting a genre and adding a few albums from that genre to his shopping cart. 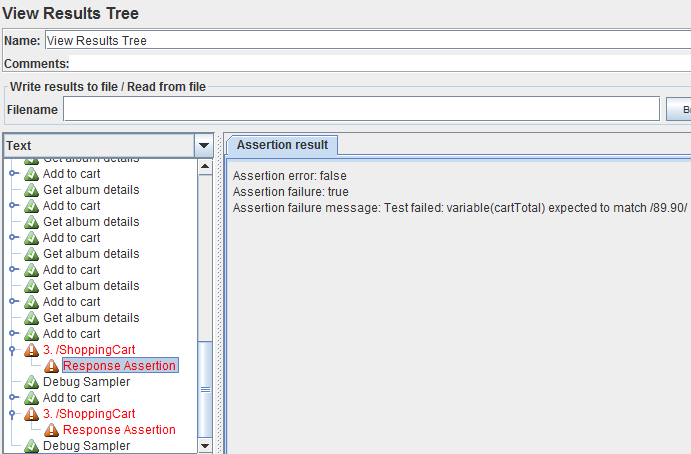 I used JMeter's capability to record web tests. Once the basic scenario has been recorded you normally clean up the calls you are not interested in and add post request processors and controllers to fully implement the behavior that you need. You can download the completed test plan from here. On step 1 the user navigates to /Store/Browse path and passes ?Genre=Rock query string parameter. The CSS extractor locates URLs to each album on the page and saves them in JMeter variables that will be used by the ForEach controller on step 2. For the first 10 albums the ForEach controller first opens an album's page and then adds the album to the shopping cart. In the end we open the cart and verify that total sum is $89.90. We can see that requests from each thread were processed by different instances. Upon the first request the server added two cookies: session and ARR affinity that were then resent with each subsequent request. Note that the ARR affinity cookie values are basically the same as instance ID's that we return in our custom X-Instance-Id header. The test succeeded and both shopping carts contained expected number of items. We can see that again 2 different instances are processing requests from the test threads but there are no ARR affinity cookies any more. As a result subsequent requests get dispatched to different instances and shopping carts get filled up in an ad-hoc manner and of course in the end our test assertions fail. Distributed session store to the rescue! Once we have redeployed and re-run our test we can see that requests are still processed by different servers within the same session but the final shopping carts contain expected items.